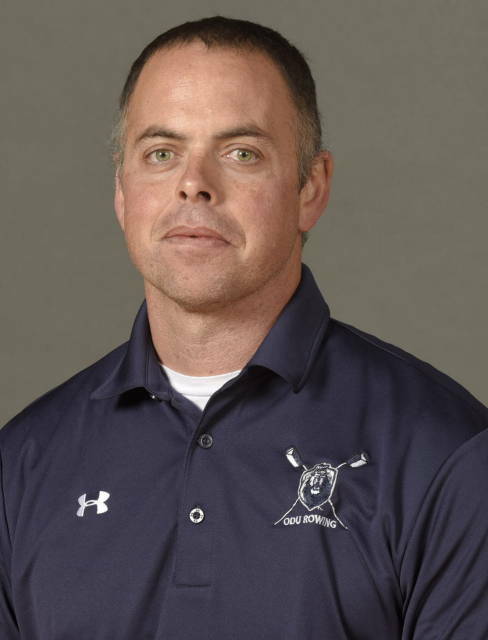 ​Daniel Garbutt has been instrumental in the early success of the Old Dominion women's rowing program not only having helped build the team from the ground up, but in the Lady Monarchs making headlines in the world of collegiate rowing in just four seasons as the head coach. Old Dominion kicked off the spring 2013 season by defeating UNC in Norfolk, Va. At the Knecht Cup, the Novice Four and Second Varsity Four boats both placed fifth overall. In the following weeks, ODU swept SMU and also defeated UCF, but fell to Miami (Fla.) in a four-team regatta in Florida. At the C-USA Championships, Garbutt and his team found out just how close they were to being amongst the nation’s best, as they competed against the likes of Oklahoma, Texas, Tennessee, Kansas, Kansas State, WVU, Alabama, etc… The Lady Monarchs were one of only five schools to send two of their three boats to the Grand Finals at the 2013 C-USA Championship; Old Dominion finished in the seventh place. Garbutt’s girls not only got it done in the water, but in the classroom too. A total of 34 Lady Monarchs were named to the C-USA Commissioner's Honor Roll, which requires maintaining a cumulative grade point average of 3.0 or better. In 2011, the Lady Monarchs achieve a second place showing by the Varsity Eight and Varsity Four at the prestigious Dad Vail Regatta, ODU also had sweeps of Miami and Colgate, wins over six-time Patriot League Champion Bucknell, a third place finish at the Colonial Athletic Association Championships, and Grand Final appearances at the Knecht Cup. Garbutt originally joined the Lady Monarch coaching staff in July of 2008 as the first assistant coach as the team geared up for its first season of varsity competition. A 2001 graduate of Princeton University, Garbutt's collegiate career began in 1998 with him winning the Freshman Award and being named a member of the United States National Team, while the Tigers captured the Intercollegiate Rowing Association (IRA) Championship. He went on to earn three varsity letters in men's heavyweight crew as Princeton won three Eastern Association of Rowing Colleges (EARC) Championships (1998, 1999, 2001). As a senior in 2001 he received All-Ivy League and All-American honors. Garbutt's collegiate coaching career began as an intern and technical assistant at the University of Washington in 2001. He then went on to spend two years as an assistant men's rowing coach at Northeastern from 2002 to 2004. Garbutt also spent time as a volunteer coach with several high school programs, as well as the Princeton's lightweight men's crew team, while working full-time as a senior specialist for the Centralized Business Review Unit of Merrill Lynch. My name is Joe DeLeo. I am a former rower turned strength coach. After years of chronic injuries from rowing I sought a way to rebuild my body, regain my health, and improve my performance – to become stronger and to row faster. LEO Training is the resource for strength & conditioning and injury rehabilitation for the sport of rowing. Jazmin Sepulveda joined Old Dominion University's coaching staff in 2018. Sepulveda's spent the 2017-2018 season as a volunteer assistant with Stetson University. As a student-athlete at the University of Central Florida, Sepulveda was apart of Varsity 4 boat in the 2016 NCAA Championships. She was a two-time AAC Champion in 2016 and 2017.